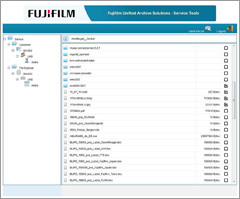 We provide an individual B2B web portal to our FUJIFILM Archive Services customers. This web portal contains a comprehensive overview of all archived data as well as functions to start a recall of selected archived data. After logging in SSL encryption is performed.